Discussions about estate planning are rarely easy ones to have. Use the guidelines below to make your estate planning discussion with your parents easier for all parties involved. You can suggest that your parents work with an estate planning lawyer to draft a will and create a trust, but you cannot demand it. Your parents are adults and as long as they are of sound mind, they are the only ones who can decide which legally binding documents they sign and what they do with their money. It is normal to be concerned about your parents’ future. If you are worried that your parents do not have an advance medical directive and that they could suffer from a lack of medical direction in the event they are incapacitated, express this concern to them. Your parents’ estate planning is not about you, but your suggestions can come across that way if you do not clearly express your genuine concerns. If you have already done estate planning for yourself, lead by example and talk about the decisions you made regarding your assets and late-in-life care. Your parents should do all of their estate planning with a competent professional. If you have worked with an estate planning lawyer, suggest that your parents work with him or her too. 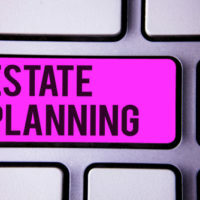 The estate planning process can also involve working with an accountant or talking to one’s doctor about his or her realistic healthcare needs. Encourage your parents to involve all of these professionals in their estate planning. You might have to express your concerns to your parents more than once. If you have anecdotes about others you know and their estate planning experiences, use them to illustrate the importance of diligent estate planning to your parents. Other resources include books and websites about effective estate planning. Encourage your parents to do their own research about specific types of investment products and ways to plan for a healthy, sustainable future. Talking to your parents about estate planning is not always an easy thing to do. But it is a necessary conversation to have, just like it is necessary for you to make your own secure estate plans. For legal guidance with the estate planning process, work with our team of Tampa estate planning lawyers at Bubley & Bubley, P.A. Contact our office today to set up your initial legal consultation with us.